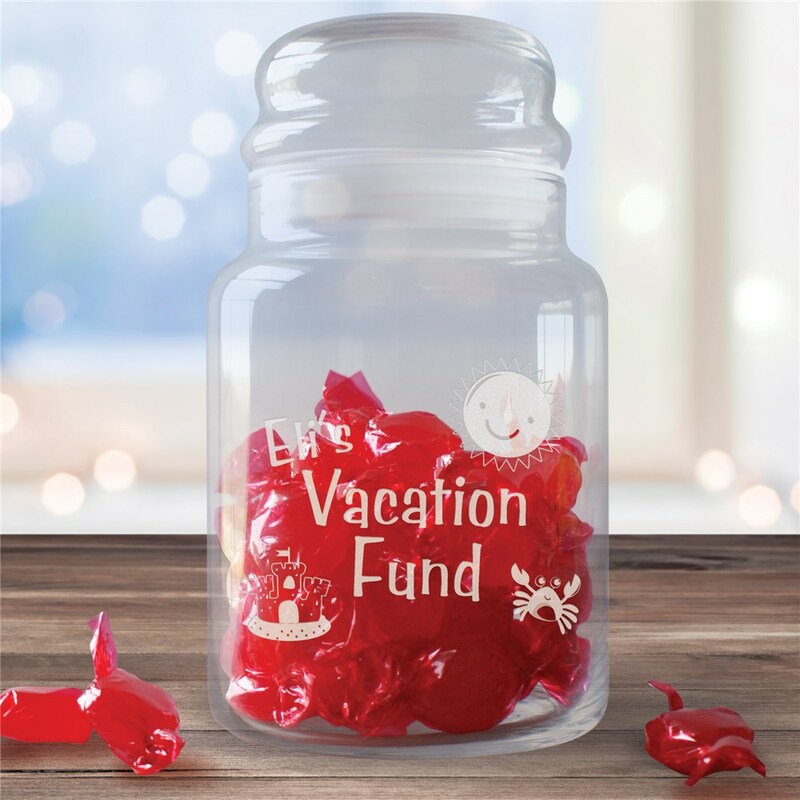 Start saving today for your next family vacation with this fun and tropical Personalized Vacation Fun Treat Jar. This Engraved Money Fund Glass Jar is a great way for the kids to learn about saving and to plan for a fun family trip together. This Vacation Fund Jar was just awesome! Great quality and my children loved them. Most importantly for me, the delivery time was exactly when they said it would be. A pleasure to order and very pleased with the product! Will be ordering in the future!